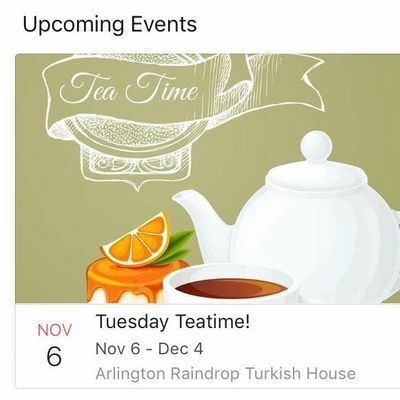 On the very first Tuesday of every month, join us for a traditional teatime at Arlington Raindrop Turkish House, with tasty finger sandwiches, fresh Turkish bakery treats, and a variety of teas served in the beautiful setting. 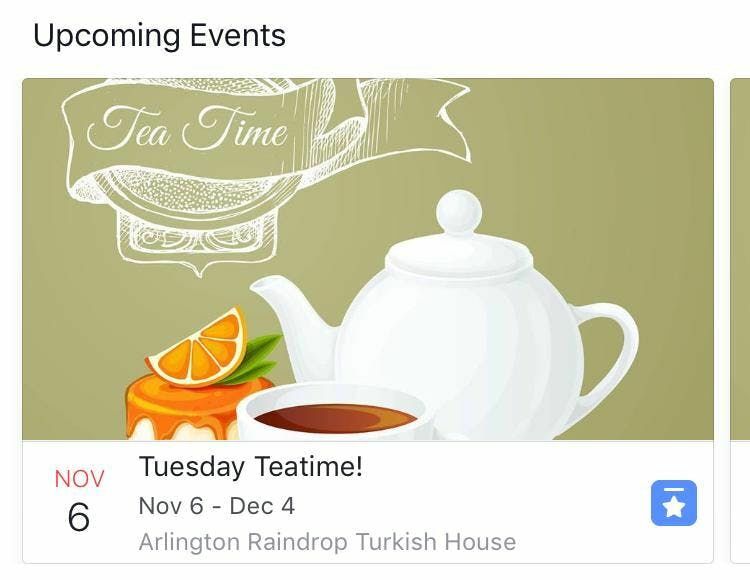 It’s the perfect opportunity to catch up with friends and treat yourself on a Tuesday noon! Check our calendar and save the date! Cost is $10, reservations are required.